Best Of The Best Ladies Boutique 2015! 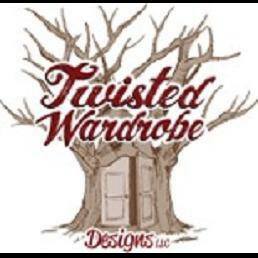 Here at Twisted Wardrobe Boutique, we love colorful clothing that is fresh and lively. We provide women fashion that they look and feel amazing in. We know that your personal style and colorful clothing is important to you because it’s an expression. Making a statement with women’s apparel is always a good time and we want to make the experience better. When you are looking for fashion apparel, make sure you add us to your list of favorite shops! We pull our inventory from some of the top design houses. We also make the rounds of all the major fashion shows throughout the United States several times a year. Why? Because fashion trends are constantly changing, and as innovative as Twisted Wardrobe Designs is, we make sure that our clients have access to the newest styles and trends in the marketplace today. If you see something you just have to have, but don&apos;t have time to get to the store...just give us a call or send an email! As an urban clothing boutique, we get excited about fashion and all of the seasonal trends that come with it. Our clothing boutique was created to give you a selection of items that will enhance your outfits and give you a swing to your step. You can find some pretty cool additions to your wardrobe at a vintage clothing boutique, and we look forward to making that easy for you. As one of the best boutiques in Colorado, we’re proud that we have provided consistent and exceptional services when it comes to selection and customer support. As we continue to grow as one of the best clothing boutiques, both Castle Rock and Parker residents will love watching our collections grow from jewelry to tops. We don’t just carry typical items at our women’s clothing boutique. Castle Rock and Parker shoppers can also get trendy plus size fashion and much more. We have women’s sweaters that will soon be a favorite piece in your rotation of clothes. Our women’s clothing apparel is designed for everyday wear, as well as to enhance your work wardrobe. If you are looking for something at the women’s fashion boutique to meet your personal style, then check out all of our lines. Check Out the Latest Fashion Trends Today! Women’s fashion in Colorado just got more exciting! When you have a clothing boutique that can be counted on, you’ll find fashion is more convenient and fun, and we work hard to keep it that way. We look forward to providing boutique clothing Castle Rock and Parker shoppers love to wear.